The Grand Island Business and Professional Women's May Dinner Meeting will be held at 6 p.m. Wednesday, May 16, at the Como Restaurant, Pine Avenue, Niagara Falls, New York. May is officer election month. For information or reservations contact President Regina Schunk at 308 7262. The Grand Island Business and Professional Women's April Dinner Meeting will be held at 6 p.m. Wednesday, April 18, in the Seneca Niagara Casino in Niagara Falls, NY. For information and reservations, call President Regina Schunk at 308 7262. The Grand Island Business and Professional Women will meet on Wednesday, March 21 at 6 p.m. at 106 Park Place, Grand Island. Dr. Sherry Bradford, President and Chief Scientific Officer, Oncology Research Therapeutics, will present a program on “Basic Cancer Prevention.” For reservations or information, call 308-7262 by Monday, March 19. The Grand Island Business and Professional Women's Annual Christmas Party will be held at 6 p.m., Wednesday, December 13, in the Buffalo Launch Club on Grand Island. "Members will bring wrapped Christmas gifts for our Island family," a club spokesman said this week. For reservations, call President Regina Schunk at 308-7262. The Grand Island Business and Professional Women's November meeting will be held at 6 p.m. on Wednesday, November 15 at The Java Shop, 2271 Grand Island Blvd., Grand Island. For dinner reservations or information, contact President Regina Schunk at 308-7262. Cardiovascular Specialist Dr. JoAnne Cobler of Buffalo Cardiology and Pulmonary Associates will be the featured speaker at the “Healthy Heart Makeover” on Wednesday evening, October 18, in the Grand Island Holiday Inn. Grand Island Business and Professional Women, in cooperation with the Grand Island Chamber of Commerce and Fuccillo Auto Group, present this heart disease education campaign, which also features testing stations for glucose, cholesterol and blood pressure. Flu shots also will be offered. 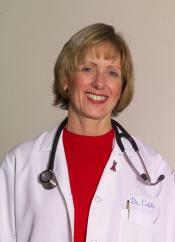 Dr. Cobler, is very involved in women’s health issues, particularly as they relate to women and heart disease. Dr. Cobler stresses healthy lifestyles and risk factors. She emphasizes the importance of prevention as cardiovascular disease is preventable. Dr. Cobler received her MD with Distinction in Research from the University of Rochester School of Medicine and Dentistry in Rochester. “Healthy Heart Makeover” is part of a nationwide grassroots initiative "by BPW/USA and its 1300 local organizations, including BPW/GI. Grand Island BPW President Regina Schunk said that heart health is very important for everyone. The key is to be proactive,” she said. “And it is much easier to maintain your health than it is to try and fix it.” “Our ‘Healthy Heart Makeover’ promises to give all participants vital information on keeping the heart healthy, as well as providing glucose, cholesterol and blood pressure testing. Everyone should know their numbers,” President Schunk added. Registration is $20 IN ADVANCE ONLY. Checks should be made payable to Grand Island BPW Treasurer Claudia Lesinski, 1241 Staley Rd., Grand Island, NY 14072. The program begins at 5:30 p.m. with appetizers and networking; 6 p.m. –Speaker Cobler; 6:45 p.m. Testing Stations open and flu shots begin. All profits benefit the Grand Island BPW Scholarship Fund. For additional information, contact BPW President Regina Schunk at 308 7262. The Grand Island Business and Professional Women in cooperation with the Grand Island Chamber of Commerce and Fuccillo Auto Group presents “Healthy Heart Makeover” on Wednesday evening, October 18, 2006, in the Grand Island Holiday Inn, 100 Whitehaven Rd., Grand Island. Regina Schunk, president of Grand Island BPW, said that “Healthy Heart Makeover” is part of a nationwide grassroots initiative by BPW/USA and its 1300 local organizations to teach and encourage workingwomen to advocate for a healthy heart through their personal, professional and political actions. “Grand Island BPW is proud to join the National BPW in its efforts in this nationwide heart disease education campaign,” Schunk said. “Women must maintain their health to be both successful caregivers and businesswomen. Cardiovascular Specialist Dr. JoAnne Cobler of Buffalo Cardiology and Pulmonary Associates is the physician/speaker. “Healthy Heart Makeover” is the first of BPW/GI’s yearly health programs. There will be testing stations for glucose, cholesterol and blood pressure. Flu shots will be offered. Most insurance plans will be accepted as payment for flu shots, although co-payments or deductibles may apply. All health services will be provided by Independent Nursing Care, LLC. According the President Schunk, good health effects everyone and she encourages women to be more proactive than reactive and to make the effort to take control of their health. Registration is $20 IN ADVANCE ONLY. Checks should be made payable to GI BPW and sent to Treasurer Claudia Lesinski, 1241 Staley Rd., Grand Island, NY 14072. The program starts at 5:30 pm with appetizers and networking; 6 p.m. Speaker; 6:45 pm; testing stations open and flu shots begin. All profits benefit the GI BPW Scholarship Fund. BPW/USA, founded in 1919, is a multi-generational, bipartisan, membership organization with a mission to achieve equity for all women in the workplace through advocacy, education and information. BPW local organizations, such as GI BPW, provide members with professional development programs, networking, participation in grassroots activities and opportunities to support scholarships. For additional information, contact President Regina Schunk at 308-7262. President Regina Schunk announced that scholarship winner M. Caitlin Hayes will be sponsored as a student member of Grand Island Business and Professional Women. The announcement was made at the successful BPW Membership Tea held Wednesday, September 20th at the home of Tricia Belter. The Grand Island Business and Professional Women’s Annual Fall Membership Tea will be held at the home of Tricia Belter, 106 Park Place, Grand Island, on Wednesday, September 20 at 6 p.m.
Club President Regina Schunk invites all Grand Island business and professional women to attend. A light dinner will be served followed by a Silent Auction to benefit BPW scholarships. Membership Chairwoman Tricia Belter said the Grand Island chapter welcomes women interested in finding out more about BPW. "Our goal is to promote full participation, equity, and economic self sufficiency for working women,” Belter said. Grand Island Business and Professional Women is a local chapter of BPW/USA, formerly known as the National Federation of Business and Professional Women in Washington, D.C. The Grand Island chapter was chartered over 25 years ago. For reservations or additional information, call Tricia Belter at 773 3073. 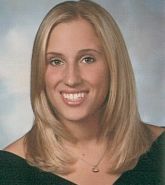 M. Caitlin Hayes of Creekside Dr., Grand Island, is the winner of the 2006 scholarship presented by the Grand Island Business and Professional Women to a member of the senior class of Grand Island High School. Caitlin attends the State University of New York at Buffalo majoring in Biomedical Sciences, and hopes to attend medical school. “Becoming a doctor has always been one of my biggest dreams, and with hard work and commitment to my studies, I hope that I am able to accomplish my goal,” Caitlin said. Caitlin has been active in school, sports and community. 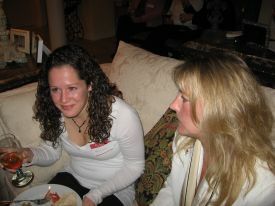 She is a member of the National Honor Society and DECA (Distributed Education Clubs of America) and was yearbook editor. She participated in the CEIP Internship and Portfolio programs through Grand Island High School and volunteers at Women and Children’s Hospital of Buffalo. Caitlin received varsity letters for basketball and tennis, the coach’s award for softball, and was named a “Scholar Athlete” by the National Honor Society. The Grand Island Business and Professional Women is chartered by BPW/USA, the National Federation of Business and Professional Women. BPW meets on the third Wednesday of the month. For information, contact Sonja Miller at 773 1715. Regina Schunk, an independent distributor for Xango LLC, was recently installed president of the Grand Island Business and Professional Women for 2006-07 by BPW New York State Vice President Susan Mager. Others installed include Dr. Sherry Bradford, chief scientific officer and president of Oncology Research Therapeutics; and Sonja Miller, clinical laboratory scientist at Erie Community College; are co-vice presidents. Mary Anne Shea, public relations director of the Irish American Club in Naples, FL., is secretary, and Claudia Lesinski, enrollment management officer for Trocaire College, is treasurer. Realtor Linda Kutzbach is Finance Chair. The Grand Island Business and Professional Women meet on the third Wednesday of the month. For membership information, call 773-1715 or 773-4309. The June meeting of the Grand Island Business and Professional Women will be held Wednesday, June 21, at the Buffalo Launch Club, 503 East River Road, Grand Island. Networking begins at 6 p.m. with dinner at 6:30 p.m. Contact Carol Edwards Volk at 773 4309 for dinner reservations or membership information. Election of Officers for 2006-07 will be held, followed by Installation of Officers by Susan Mager, newly-elected vice president of BPW/NYS, the New York State Federation of Business and Professional Women. The Grand Island Business and Professional Women will meet at 6 p.m. Wednesday, April 26, 2006 in the lower level Conference Room at Realty USA, 2139 Grand Island Blvd., Grand Island. Speaker Mary Eichel will discuss “Exquisite Window Designs.” Contact Sonja Miller at 773 1715 for dinner reservations. At the April and May BPW meetings, members are asked to support “The Clothes Closet,” The Everywoman Opportunity Center’s on-going clothing drive which provides needy women clothing to wear for job interviews. President Sonja Miller asked members to bring suits that are in good condition and other outfits that are suitable for women to wear for job interviews, to the BPW meetings. Others who may want to donate suits and other professional clothing can contact Tricia Belter at 773-3073 to arrange to drop off donations at Tricia’s home. The Grand Island Business and Professional Women will meet Wednesday, November 16 at 6 p.m. in the Grand Island Holiday Inn. Networking begins at 6 p.m. followed by dinner at 7 p.m. For dinner reservations, call Carol Volk at Hairitage, 773 4309. Members will order from the menu. President Sonja Miller will have reports on the Membership Tea, the Second Annual Career and Professional Development Seminar, and plans for the “Adopt A Family” Christmas Gifts. The Grand Island Business and Professional Women, in cooperation with the Grand Island Chamber of Commerce and Fuccillo Auto Group, present the Second Annual Career and Professional Development Seminar, Wednesday evening, October 19, at Grand Island Holiday Inn Resort and Conference Center. Sonja Miller, president of the Grand Island chapter of BPW, said the seminar, “Delivering Customer Service Excellence,” will promote habits that will assure service excellence and win customer loyalty. Profits benefit Grand Island BPW Scholarship Fund. “You’ll learn the habits that are critical to bringing out the best in the people you work with as well as those you serve,” Skiffington explained. The author of "Winning is Contagious Pass It On," Skiffington is best known for presentations at conventions, corporate conferences, training seminars and sales meetings. She helps men and women build their own unique success story by developing a pro-active high achiever mentality. “This will be an empowering seminar that will provide insight into who your customers are and help take unnecessary ‘wrinkles’ out of your hectic day,” Skiffington said. The $20 registration fee includes appetizers at 5:30 p.m. and the two-hour seminar starting at 6:30 p.m. Student registration fee is $10. Seating is limited and there is no registration at the door. Carol Edwards Volk of Hairitage Salon, 1871 Whitehaven Road, Grand Island, is registration chairwoman. Checks are to be made payable to GI BPW and mailed to Mrs. Volk by Thursday, October 13, 2005. For additional information, contact Seminar Chair Regina Schunk at 731-4924, Mrs. Volk at 773-4309 or President Sonja Miller at 773-1715. Grand Island Business and Professional Women is a local chapter of BPW/USA, Washington, D.C., formerly known as the National Federation of Business and Professional Women. BPW/USA’s mission is to achieve equity in the workplace for all women through advocacy, education and information. Grand Island BPW is one of eleven local business and professional women’s organizations in Western New York’s District Eight. Lindsay M. Aronica of Winkler Dr., Grand Island, is the winner of the Grand Island Business and Professional Women's 2005 Scholarship, presented to a member of the Grand Island High School senior class. Lindsay will attend Daemen College where she has received the presidents award. Through the five-year masters program at Daemen, she hopes to become a Certified Physician Assistant. “My college education is exceptionally important to me,” Lindsay said. She felt compelled to work in the medical field after her mother was diagnosed with breast cancer nearly six years ago. "Although experiencing cancer in my family was one of the most difficult things in my life so far, it has inspired me,” she said. Lindsay is listed in Who’s Who in American High School Students and received the Pride of the Island Award and the New York State Scholar-Athlete Award in Swimming. Lindsay’s varied extracurricular activities include volunteering at St. Gerard’s Food Pantry, teaching Children’s Liturgy of the Word at St. Stephen’s Church on Grand Island, volunteering at the Special Olympics and raising money for Breast Cancer Research as a volunteer at the Susan G. Komen Race for the Cure. The Grand Island Business and Professional Women is chartered by BPW/USA, the National Federation of Business and Professional Women. BPW meets on the third Wednesday of the month. For information, contact President Sonja Miller at 773 1715. Members of the Grand Island Business and Professional Women's Club will hold their annual fall membership tea and silent auction 6 p.m. Wednesday, September 21, 2005 at the home of Tricia Belter, 106 Park Place, Grand Island, NY. Those planning to attend are asked to reply to 773-1715 on or before September 16. A light, catered dinner will be served. Dr. Sherry A. Bradford and Sonja C. Miller were recently installed as co-presidents of the Grand Island Business and Professional Women for 2005-06 by BPW State Vice President Susan Mager. Dr. Bradford is chief scientific officer, chairman of the board and president of Oncology Research Therapeutics, Inc., Long Rd., Grand Island. Sonja Miller, a clinical laboratory scientist at Erie Community College, just received the 2005 Sara Marie Cicarelli Award for Clinical Laboratory Scientist of the Year from the American Society for Clinical Laboratory Science-NY. Her nomination by the Niagara Frontier Chapter of ASCLS-NY cited Ms. Miller’s dedication to teaching, her activities mentoring students and her interest in fostering continuing education. Other officers installed are Vice President Regina Schunk, independent distributor for Xango LLC; Secretary Mary Anne Shea, public relations director of the Irish American Club of Naples, FL. ; and Treasurer Claudia Lesinski, enrollment management officer for Trocaire College. The Grand Island Business and Professional Women meet on the third Wednesday of the month. For membership information, call 773-1715 or 773 4309. Grand Island Business and Professional Women installed the following officers for 2002-2003: President Sonja Hill; Vice President Amy Pierce; Secretary Mary Anne Shea and Treasurer Carol Edwards Volk.